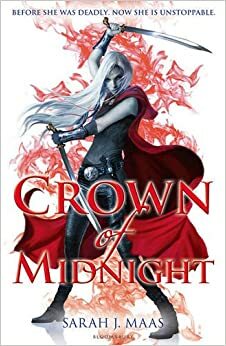 I think that Throne of Glass is an excellent book, but Crown of Midnight was much better. Throne of Glass introduced that magical world and characters that we will learn to love and hate. In Crown of Midnight we start to see the darker sides of some characters, plot twists, cliffhangers and more mysteries come to the surface. Celaena is an amazing character who did annoy me at times with her childishness and naivety but as the book progresses she matures and will probably continue to mature as the series progresses. Chaol and Dorian are both awesome and I love them but I do prefer Chaol with Celaena just because Dorian seem to sweet and innocent ( think of a Lamb) and Celaena needs someone who will stand by her side and fight for what is right. The death in this book broke my heart into many little pieces and I really did not see it coming even if I did see the final cliffhanger revelation from the start of the book. If you have not started this series yet or if you didn’t like the first book and don’t want to continue, I urge you to read this because each book gets better and better. I would keep reading just so that I can finally see the King of Adarlan die because he deserves it. Plus Celaena is badass!